Heat olive oil in a small frying pan over a medium heat, add garlic and stir until fragrant. Add mushrooms and stir to coat and allow to brown slightly, approx. 2 minutes. Pop a lid on the pan and allow the mushrooms to soften and appear golden, approximately 4 minutes, stirring to ensure they don’t burn or stick. Remove lid, season with salt and pepper, add cream and stir until the cream reduces slightly or you can’t resist eating it!. 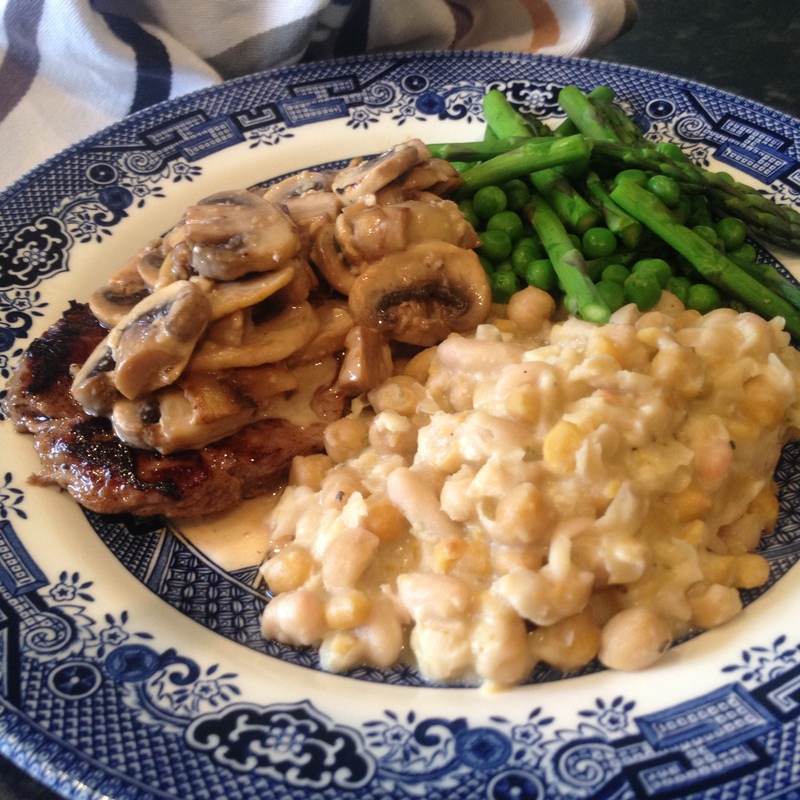 Best served atop a medium-rare steak, steamed greens and my delicious white bean and chickpea ‘mash’. Great recipe Mushrooms are my favourite food!